You Absolutely, Positively HAVE To Go To A Good Pizza Parlor For Great Pizza! 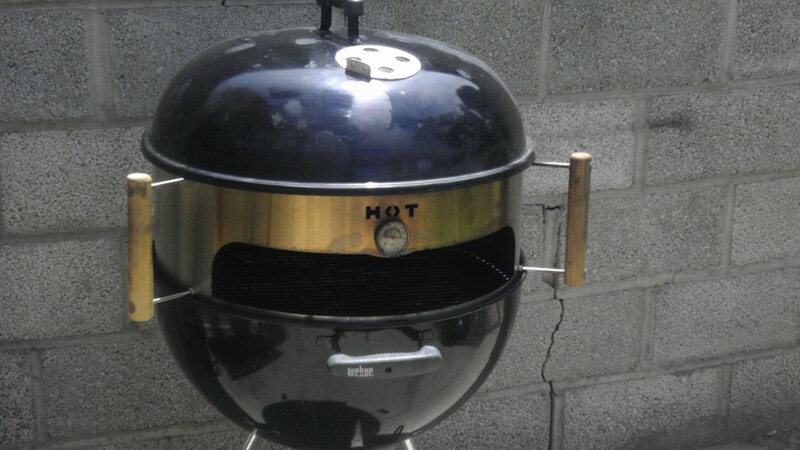 There’s a great company here in the U.S. that makes an accessory for 22.5″ kettle grills like the Weber Silver or Gold that makes absolutely outstanding pizzas on the bbq grill, believe it or not. It’s the Kettle Pizza company at http://www.kettlepizza.com/ . What is NOT hard to describe is how incredibly easy and tasty the pizza is when you cook it on their accessory. I do a slight modification to their Kettle Pizza device, though. I put a 2nd grill on the top of the Kettle Pizza attachment that I’ve covered with a large sheet of heavy duty aluminum foil, shiny side down. That seems to reflect the heat down onto the top of the pizza and cooks it as quickly as the bottom cooks. Oh yeah, I use one of their large round pizza stones on the bottom grill, too. The temperature of the stone gets up to over 800 degrees! That’s coming real close to the best hottest ovens in the best pizza parlors. Plus, it’s genuine wood fired pizza! The taste is unbeatable. 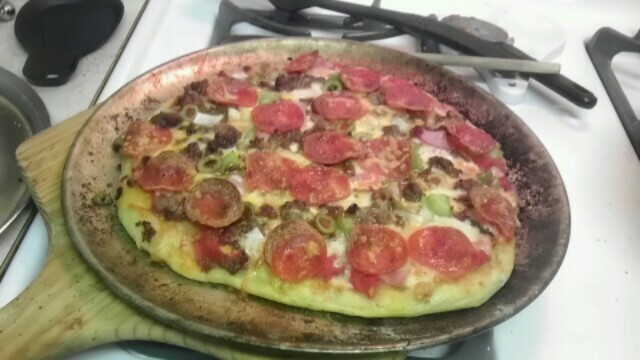 I’ve tried with and without a pizza pan on the stone and it all depends on what kind of pizza you’re cooking. They have all come out wonderfully. 🙂 Oh, and btw, it takes a whopping 3-4 minutes to cook an incredible pizza! WOWZERS! Yeah, you’ve got to turn it 2 or 3 times, so be careful to use tongs or the turner tools from the site. What do you mean, “What kind of pizza are you cooking?” Yeah, there really are lots of different kinds of pizza. Neapolitan, regular crust, 65% hydration crusts, thin crust pizzas, deep dish pizzas, pan pizzas, French bread pizzas and tons more! Use your Google-fu to find great recipes all over the place. In a later post, I’ll give a link or 2 to some of the sites I’ve found to be outstanding and when I get a chance, I’ll post some of my favorite crust recipes. Hint: make your crust a couple of days in advance, let it rise, then stash it in the ‘fridge (or as Emeril would say, the ice box) for a couple of days in an oiled zip lock baggie, then let it warm up and roll it out. In the meantime, head over to http://www.kettlepizza.com/ and check out this thing! It rocks and will cook the absolutely BEST pizza you’ll ever have! Oh, btw, here’s a pic of one of my last “supreme” pizza with everything!